Barry Levitt has been confined under a hospital order under the Mental Health Act. A man who pleaded guilty to the manslaughter of his mother has been confined under a hospital order under the Mental Health Act. 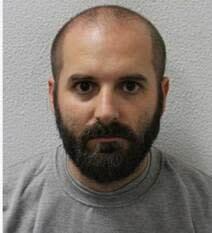 Barry Levitt, 36, (15.06.82) of Stoneleigh Road, BR1, had appeared at the Old Bailey on Wednesday, 9 January where he pleaded guilty to the manslaughter of his mother, Celia Levitt, by means of diminished responsibility. On Friday, 1 March Levitt appeared at the same court and by way of sentence was made the subject of a hospital order under the Mental Health Act. At 01:07hrs on Friday, 31 August 2018, police were called to concerns for the welfare of a male occupant at a residential address in Stoneleigh Road, Bromley. When officers arrived at the scene they forced entry to the address and found 68-year-old Celia Levitt unresponsive. She was sadly pronounced dead at the scene. 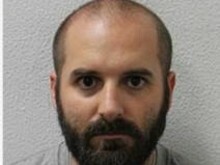 Barry Levitt, who was found hiding in a bedroom at the address, was arrested on suspicion of murder and taken into custody at a south London police station. A post-mortem examination held at the Princess Royal University hospital on Saturday, 1 September 2018, found the cause of death to be ligature strangulation and features consistent with smothering. Levitt was charged with murder on Saturday, 1 September 2018 and remanded in custody. Three separate mental health assessments of Levitt concluded that at the time of the incident he was suffering a mental health episode. He appeared, in custody, at the Old Bailey on Wednesday, 9 January where he pleaded not guilty to murder, but guilty to manslaughter by means of diminished responsibility. In light of the opinions of the mental health professionals, the Crown accepted the plea. Detective Chief Inspector Simon Harding of the Met’s Homicide and Major Crime Command said: “This is a terribly sad case, which has had a devastating impact on the family. On 30 August 2018 Barry Levitt was suffering a serious psychotic illness. During this episode he killed his mother, Celia Levitt, by strangling her with a power cord. "Psychiatrists have concluded, and the Court has agreed, that his mental health at the time was the cause of his actions. A hospital order under the Mental Health Act is therefore seen as an appropriate sentence. “I would like to pay tribute to Celia’s family and friends for their dignity throughout the police investigation and subsequent court proceedings.